Crannog Software specialises in the development and marketing of network monitoring tools, helping business users of IT to measure and monitor the performance of their network resources, across local and wide area links. Crannog Software's customer base includes many high-profile customers such as Intel, IBM, Schering Plough, Pfizer, Hewlett Packard, eircom, United Nations, Honda R&D America, Commerzbank, British Telecom, Lufthansa Systems and Bank of Ireland. NetFlow Tracker harnesses flow information from Cisco IOS NetFlow, and flow standards from several other vendors, to give users detailed network traffic insight without the use of probes or appliances. Finally, many critical management questions about the network become easy to answer. NetWatch? is a web-based, simple-to-use, management tool that offers complete visibility of the health and status of network devices in a format that can be tailored for all levels of technical competence. 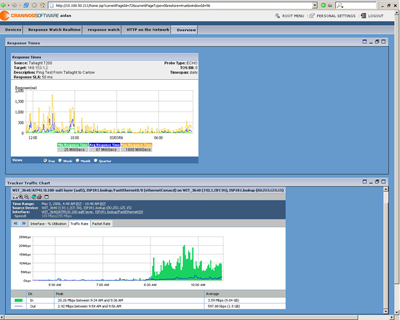 ResponseWatch version 1.5 uses an embedded agent in the Cisco IOS called IP SLA to gather network performance monitoring statistics.IP SLA measures response times, network resource availability, application performance, and jitter, connect time, throughput and packet loss. 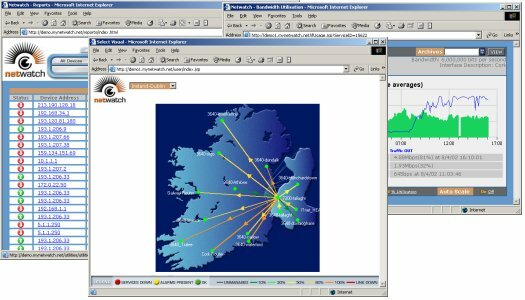 Crannog OneView is a dynamic portal that gives network managers and others with responsibility for administration, security, support and convergence, a single and highly configurable point of access for all their network monitoring applications, so they can quickly get to the information they need.